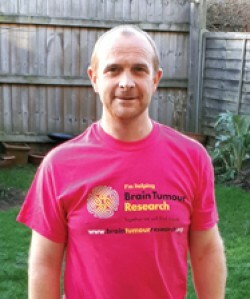 Alvechurch resident Jonathan Oseland is getting ready to run this year’s London Marathon in aid of Brain Tumour Research. Jonathan chose the charity because a friend of his, Katie Smith, is currently battling a brain tumour. He hopes to raise the required minimum of £3,000 to help combat the disease, which kills more children and adults under the age of 40 than any other cancer, yet only receives one per cent of the funding of the national spend on cancer research.